Iranian Foreign Ministry Spokesman Bahram Qassemi has dismissed the latest anti-Iran statements made by US President Donald Trump and his national security adviser John Bolton as well as the accusations levelled in the National Strategy for Counterterrorism. In a Sunday statement, Qassemi slammed as “baseless and unfounded” the US officials’ allegations, and parts of the document of Trump’s National Strategy for Counterterrorism which allegedly condemns the Islamic Republic for supporting terrorism and destabilising the West Asian region. “Such comments, baseless and worn-out accusations, and the daydreams which we’ve recently seen in the words of US officials, especially the US president and some of his closest associates, are the result of the successive defeats that Washington has suffered in different fields over the past few months in the face of the determination, resistance and wisdom of Iran and Iranians,” he noted. He also referred to the September meetings of the United Nations General Assembly and the Security Council, and said they proved the isolation of the US and its unilateralist policies. What the people of the world saw in those meetings had nothing to do with the worn-out rants of the US president and his national security adviser, he noted. 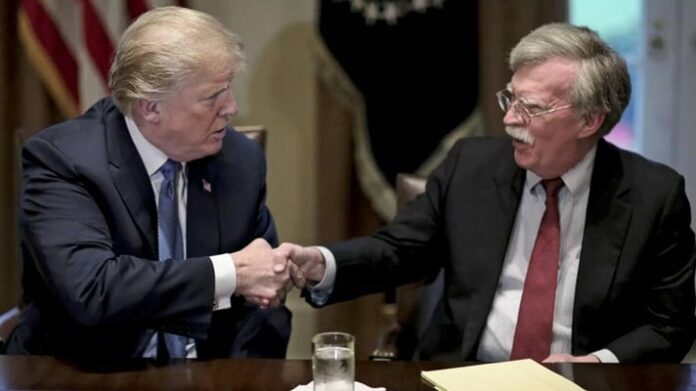 Qassemi further underlined that in the remarks made by Trump and Bolton and their so-called National Strategy for Counterterrorism, one can find the trace of warmongers and the lobby of some regional regimes whose names have always been synonymous with terrorism and extremism. These regimes are also the most notorious military and financial supporters of terrorist groups in the region, he underlined. By making such misleading statements, they are trying to distract the world’s attention from their own bloody, disgraceful, brutal, destabilizing and aggressive measures in the region, he went on to say. Qassemi’s remarks came after Trump on October 13 once again called the Iran nuclear deal “horrible”. “You know when I came to office weeks before I was given rundowns of what’s happening in Iran. It was just a question of when will they take over the entire Middle East. They’re? Not thinking about that anymore folks. They are not thinking about it anymore. They have got a little disaster going to have riots in the street, their currency, shock and they will be coming to us,” he further claimed. “Someday, probably not too far out and they will. We would like to make a deal and that’s fine, but a real deal, not a joke of a deal that was made by the past administration,” Trump added. Meanwhile, Bolton also said in an interview with Hugh Hewitt the Iranian government is an enemy of the United States. Bolton also claimed that Iran is not conforming to Western norms because of the nuclear deal. He alleged that Iran has not done anything to try to mollify concerns about continued support for terrorism around the world.